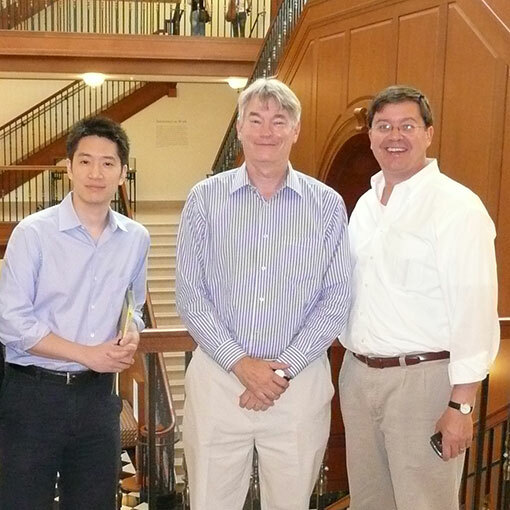 Compass Maritime has assisted the Harvard Business School on two cases regarding the valuation of ships. 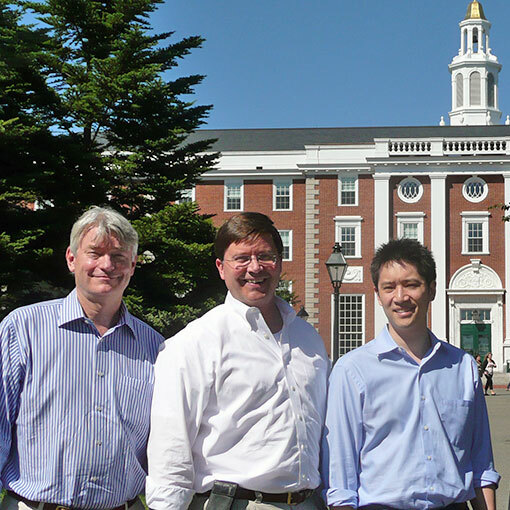 The case study method, pioneered by the Harvard Business School, presents business students with 'real life' business situations where there is no clear black-and-white answer and attempts to elicit from students possible solutions and outcomes as if they had to make the decision in real world situation. 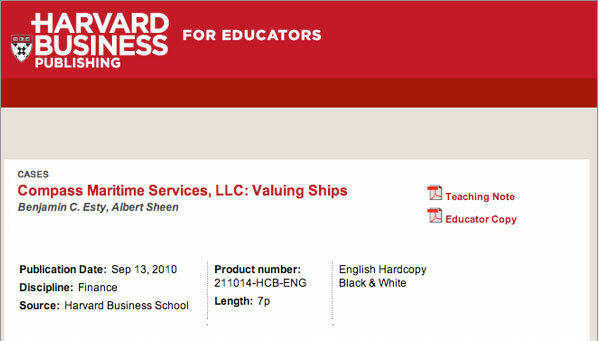 Harvard Business School professors Ben Esty and Al Sheen prepared a case study based on the process of valuing ships, using Tom Roberts of Compass Maritime as case protagonist! 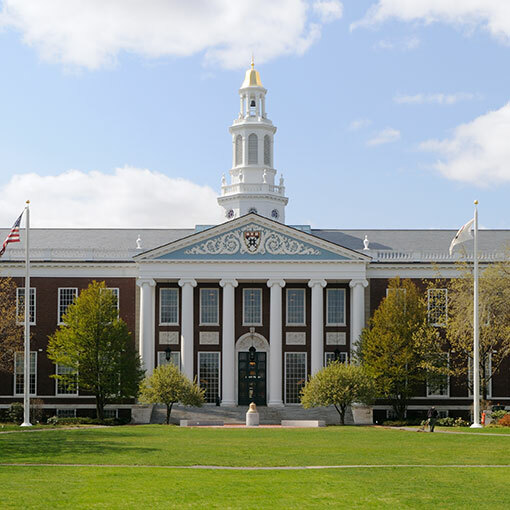 Click here to purchase a copy from the Harvard Business School. "S&P brokers are like real estate agents. We help put buyers and sellers together, help draft the documents, and then get a commission for completing the sale. It's a very competitive business where your reputation - your ability to provide good market intelligence, to protect confidentiality, and to close deals quickly - matters a lot. And your ability to close deals depends on having deep knowledge of the industry (ships, markets, and international trade) and the players, and good relationships with customers and other S&P brokers. Our relationships with other S&P brokers are very symbiotic. Although we compete for deals, we regularly collaborate to get them done. We are also actively involved in the valuation process, providing ship valuations for clients including owners, lenders, and potential buyers." To order copies of the case, call: (800) 545 7685, or write Harvard Business School Publishing, Boston, MA 02163. "...value and price are not always equivalent, and there is a fortune to be made for those who can take those two concepts apart." The second case, Vereinigung Hamburger Schiffsmakler und Schiffsagenten e.V. 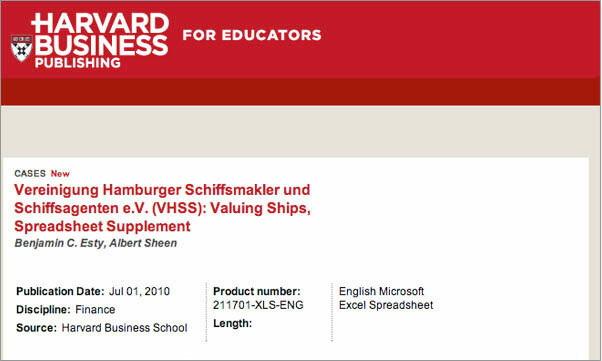 (VHSS): Valuing Ships, illustrates two valuation methodologies: mark-to-market (comparable transactions where value equals market price) and mark-to-model (discounted cash flow analysis where value equals calculated net present value).